This year we are so excited to launch a brand new blog series, Star Spotlights. After all, we are so fortunate to get the chance to work with and showcase the finest talent that Kansas City has to offer during our annual Pumpkin Season and it's about darn time that y'all got to know them a little better! 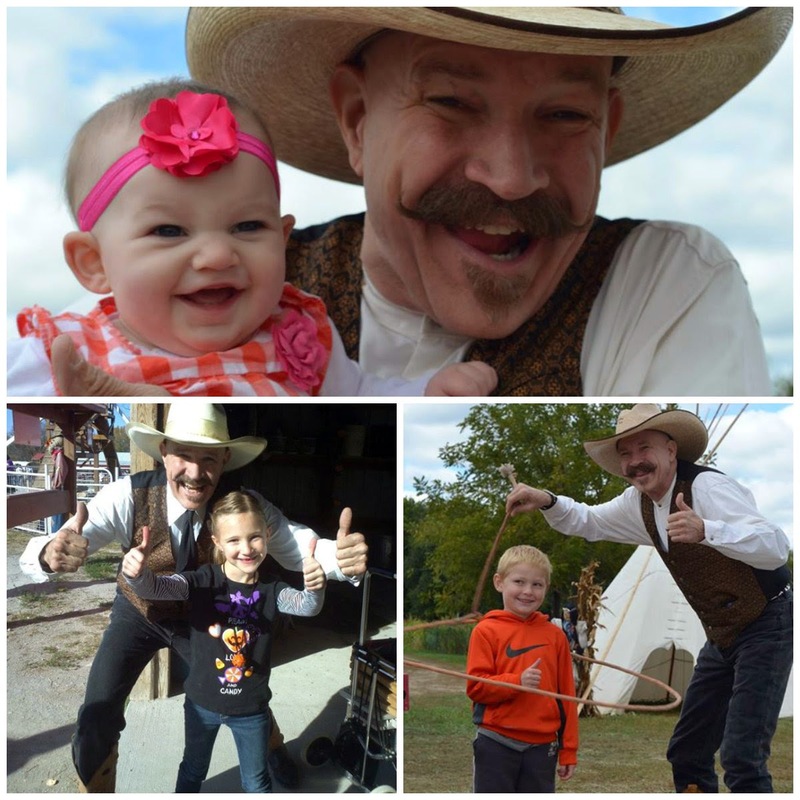 Terry has been entertaining audiences all around the world since 1983 and has been performing for the Faulkner Family for over 25 years! 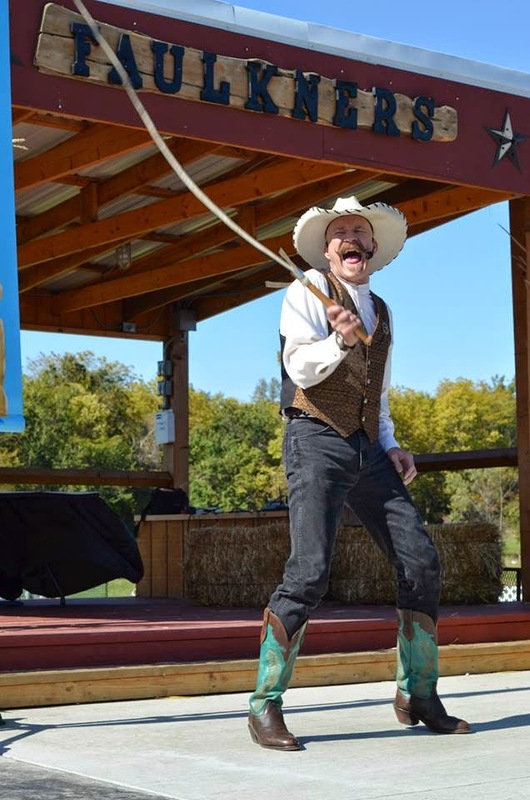 His love for entertaining began when he picked up a book at the town library called “How to Juggle.” From there it was clear that entertaining was in his blood! He even went to Clown College! That’s right, he attended the famous Ringling Bros. and Barnum & Bailey Clown College. Fun Fact: Terry became the only “walk on” student in the history of the famous circus. He showed up the day before Clown College started, no audition or prior acceptance, and impressed the Dean so much with his passion and desire to perform that he was accepted on the spot! How awesome is that? There's no clowning around though when it comes to this man's talent. Since his clown college days he has traveled around the world showin' off his stuff! 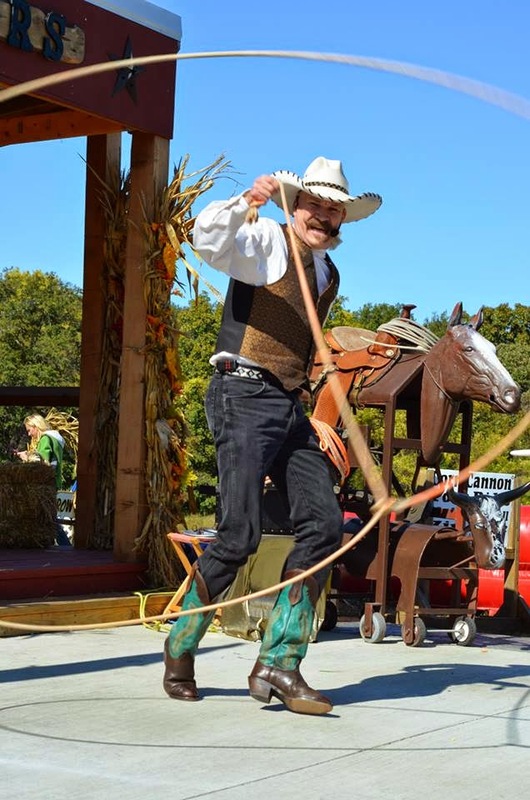 He has toured with Ringling Bros. and Barnum & Bailey Circus, the Brooks & Dunn’s Neon Circus & Wild West Show Summer Concert Tours, performed at President Reagan’s White House Easter Celebration, and much MUCH more. For the full list of his jaw-dropping resume click here. So, it goes without saying that we have been beyond blessed to have had the chance to work with T. Texas Terry for all of these years. He’s a busy, busy man, sometimes being on the road as much as 231 day a year! However, we were able to catch up with him for a little Q&A on what you can expect when you come see him this Pumpkin Season! Howdy Terry! 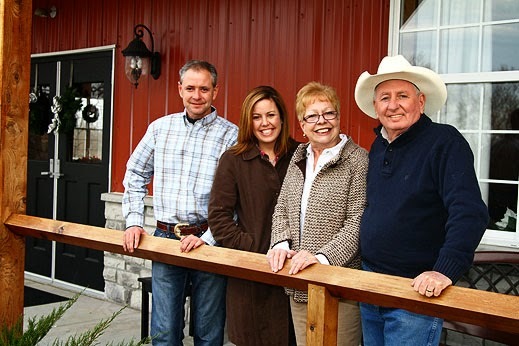 Can you tell us what people can expect when they come to see your show at Faulkner s Ranch? 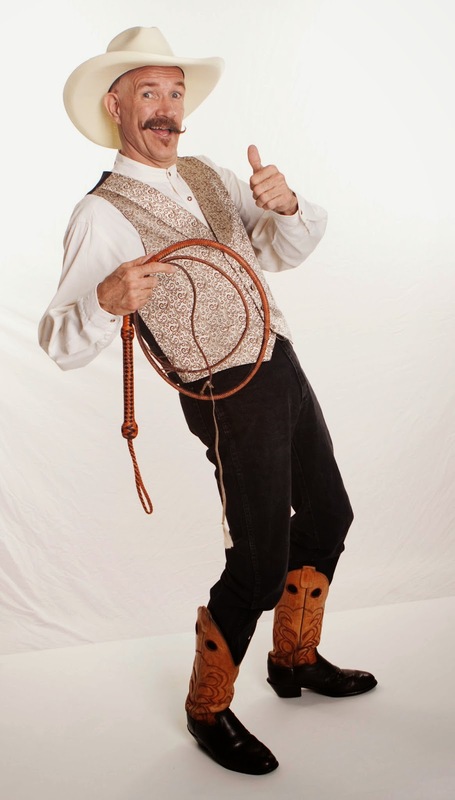 My T. Texas Terry Comedy Wild West Show will have lots of laughs, audience participation and high energy fun with the wild west skills of rope spinning, whip cracking and even music with the world's first cowboy musical instrument! Speaking of your show, you do so many awesome tricks. What is your favorite trick to perform? My most favorite trick is putting smiles on little kids faces! 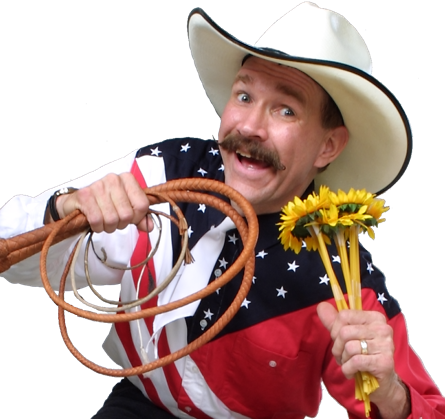 My two other favorite tricks are doing the Texas Skip with my big lariat and then cutting a flower in half from my mouth with a bull whip! Any advice to little cowboys and cowgirls? You can accomplish anything if you're willing to stay in school, always believe in yourself and never, ever give up on your dreams! 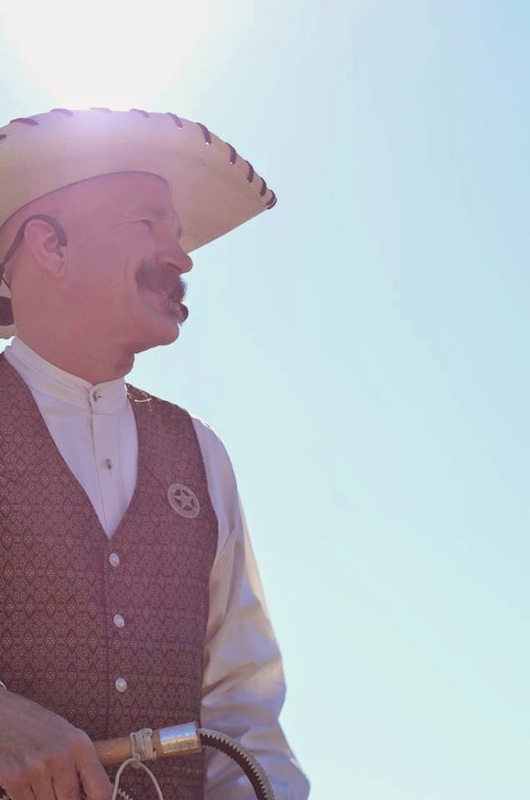 Terry, you're just the best in the Wild Wild West! 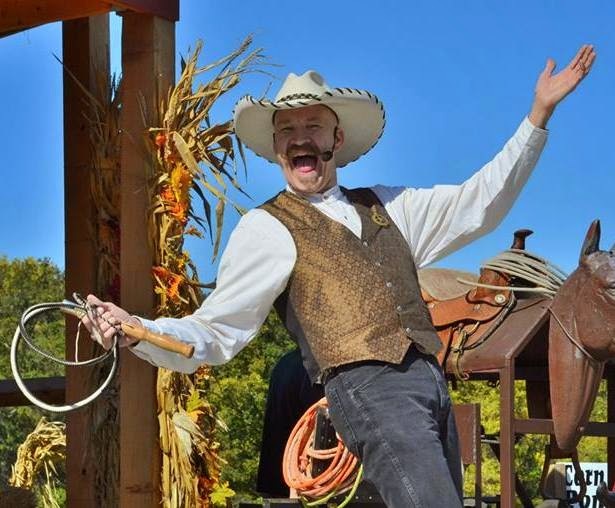 You can catch Sheriff T. Texas Terry’s shows every Saturday and Sunday at Faulkner’s Pumpkin Ranch (except for October 18th)! Trust us, you don't want to miss it! For a complete schedule of show times, click here. For more info on Terry DaVolt, click here. We hope to see you out on the ranch this October! Star Spotlight: Mr. Stinky Feet!